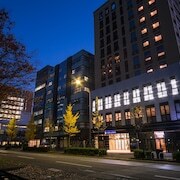 Top 10 Ishikawa Hotel Deals from ￥27,273/Night! 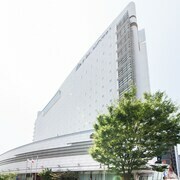 The hotel's location is great, just a 2 min walk from Kanazawa Station. Also, with both indoor and outdoor onsen, free beer and free ramen in the evenings, this hotel provides great value for money. Staff were all very helpful too. A wonderful place to stay in Kanazawa. Our room was huge! Breakfast was good, but we missed the cinnamon buns Holiday Inn is famous for. The hotel is about a 15 min walk from the train station, and next to a huge mall for shopping. Across the street is another mall with multiple dining options. Also walkable to Kanazawa castle. Explore Ishikawa with Expedia’s Travel Guides to find the best flights, cars, vacation packages and more!